Position : VETERINARY SURGEON AND ASSISTANT PROFESSOR –DEPARTMENT OF VETERINARY SURGERY AND RADIOLOGY. Gold Medal And Best Paper Award In Equine Surgery Session –Annual congress of Indian Society of Veterinary Surgery 2013. Appreciation Award – Large Animal Poster Session - Annual congress of Indian Society of Veterinary Surgery 2013. Appreciation Award for Best Paper in Avian Surgery Session of Annual Congress of Indian Society for Veterinary Surgery,2018. High Altitude Meritorius Service Medal – Indian Army Remount Veterinary Corps 2008. 1. Capt S.S. Nair and Col AK Shukla (2006,Sep) Surgical management of conjunctival habronemiasis in A GS Mule : A case report. Remount Veterinary Journal , pp 181-18. 2. Nair,S.S. and Vasanth, M.S. (2006,Dec). Comparative evaluation of extracapsular extraction and cryoextraction of cataractous lens in dogs . Remount Veterinary Journal ,pp 203-204. 3. Nair,S.S. and Vasanth, M.S. (2007,May). Gross changes at surgical site following cataract surgery in dogs. Indian Veterinary Journal, 84:368-369. 4. Nair,S.S. and Vasanth, M.S. (2007,May).Incidence of cataract and haematological and biochemical changes during lens extraction in dogs. .Indian Veterinary Journal ;84:476-478. 5. Nair,S.S. and Vasanth, M.S. (2007,May). Changes in intraocular pressure following cataract surgery in dogs. Indian Veterinary Journal ;84:525-526. 10. Capt S.S. Nair, Col AK Shukla and Col Tej Ram (2008,Sep) Surgical management of a mesenteric lymphoma in a Pommeranian dog: A case report .Remount Veterinary Journal ,Sep 2008 pp167-168. 12. Sudheesh S. Nair, L. Suresh, N. Nagaraju and M.S. Vasanth (2013) Surgical management of sertoli cell tumour in a German shepherd dog. Indian Journal of Veterinary Surgery, Jun 2013pp 78. 15. Suresh, L., Sudheesh Nair, S. And Nagaraj, N “Successful Surgical Correction of Symphyseal Fracture of Mandible in a Dog – A Case Report” -. Frontier Journal of Veterinary and Animal Sciences Vol –No-2 No-1 July to Dec2013 , pp 148-149. 16. Sudheesh.S.Nair , V.J. Udayasree and A.M Muralidhara Canine pododermatitis and its therapeutic management: A case report . (Intas Polivet (2013) Vol.14(II): 412-413. 22. P.S.Reshma.,Ambily ,R.,Shanthala Hubli.,Sudheesh S Nair., Soumya Ramankutty .,Vasanth Kumar .,Roshin M Reji., Nakka Aiswarya and M Mini. Isolation and molecular detection of Cornybacterium pseudotuberculosis from a case of umbilical abscess in a kid. International Journal of Sciences Environment and Technology. Vol .6, No 5,2017 Pp 2827-2832. 24. Soumya, R., Sudheesh, S. Nair., Athira, V.P., Anoop, S., Narayanan, M.K. and Devanand, C.B. Tube cystostomy for management of struvite urolithiasis in male goats: a review of six cases International Journal of Sciences Environment and Technology. Vol. 7, No 3, 2018, 895 – 899. 25. Soumya, R., Sudheesh, S. Nair., Anoop, S., and Devanand, C.B Midoesophageal foreign body obstruction and its surgical management in a calf . International Journal of Sciences Environment and Technology. Vol. 7, No 4, 2018, 1264 – 1267. 26. 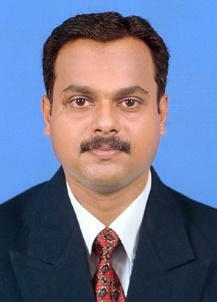 Sudheesh S Nair, V.P. Athira, R. Soumya, S. Anoop, M.K. Narayanan and C.B Devanand. Perineal Urethrostomy for Successful Management of Urolithiasis in a Male Buffalo Calf. International Journal of Sciences Environment and Technology. Vol. 7, No 4, 2018, 1268 – 1271.